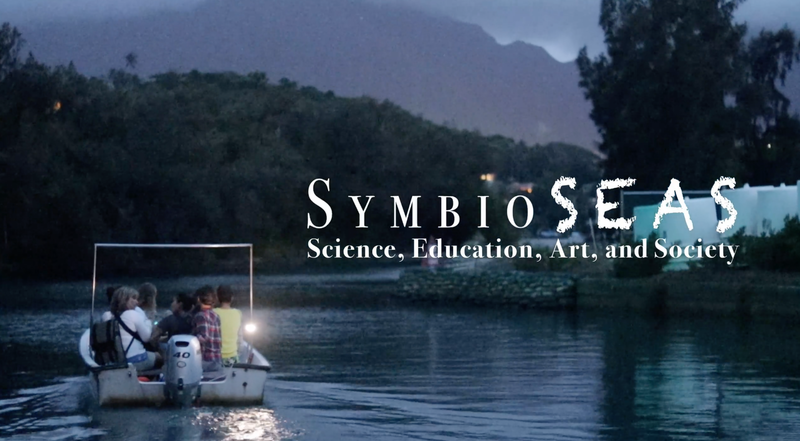 Join us as Hawai‘i FEAST & Nerd Night Honolulu team up to host a community dinner & fundraiser to support the upcoming exhibit SymbioSEAS: Connecting Science, Education, Art, and Society through Coral Reefs. The SymbioSEAS gallery (on display from March 1st to 30th, 2019 at the ARTS at Marks Garage) represents a group of 40+ scientists and artists who have worked together over the past year to bring to life coral research through various 2-D and 3-D mediums. At the March 16th FEAST + NERD NIGHT, while attendees eat, mingle, and imbibe, this group of artists and scientists will share their experiences on banding together to bring global awareness to the health & rehabilitation of our oceans and coral reefs through the unusual duo of cutting edge research and creative expression. A silent auction will also be held during the event to provide attendees the opportunity to purchase art pieces from the SymbioSEAS gallery. All proceeds from the event will go to supporting the projects created for the SymbioSEAS gallery. Click here to watch a short video about the SymbioSEAS gallery on display from March 1st to 30th, 2019 at the ARTS at Marks Garage. Hawaiʻi FEAST is an event platform that supports place-based and public artwork through community financing and social networks. FEAST empowers artists to create a sense of place within their communities through creative expression. FEAST is built solely upon community resources; Local artists produce ideas for public artwork and community members take part in the decision making process of selecting projects and financing these projects. Learn more about FEAST by visiting our website hawaiifeast.com. Nerd Night Honolulu is a monthly gathering that happens every first Tuesday at Anna O’Brien’s. It is a platform for Nerds et al. to mingle, drink and think about various topics presented by members of our community! Every month there are fun and intelligent presentations accompanied with music by DJ Globes.